Robert Redford, Candice Bergen, Michael Douglas, Glenn Close, Alan Arkin, Dolly Parton, Annie Lennox, Henry Winkler and Canadian Sandra Oh (who is also set to co-host the ceremony with Andy Samberg!) are among the 2019 Golden Globes nominees announced Thursday morning, making it a strong showing for veterans of the industry. 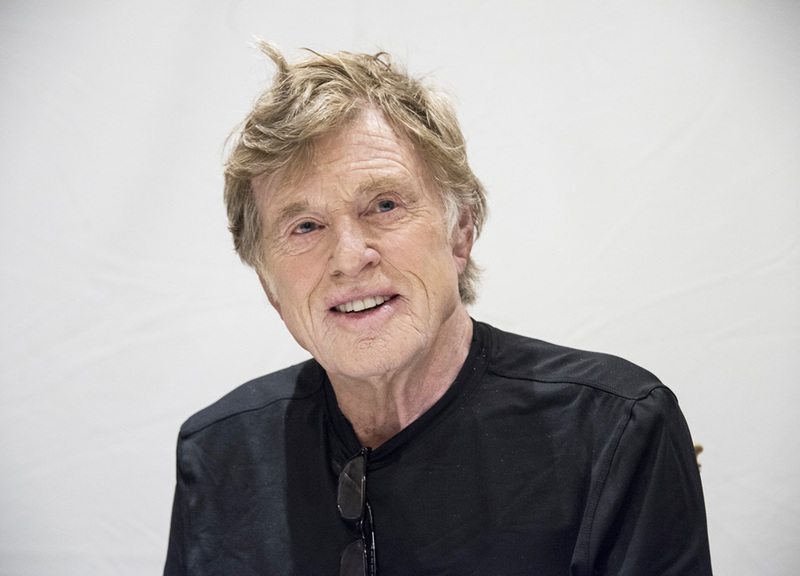 Redford, 82, scored a nod for Best Actor in a Motion Picture, Musical or Comedy for The Old Man & the Gun, which is purportedly his final film before he heads into retirement, while Bergen, 72, received a nom for Best Performance by an Actress in a Television Series, Musical or Comedy for reprising the famed title character in the recent Murphy Brown reboot. Meanwhile, at 84, Alan Arkin stands as the year’s oldest nominee, earning a nomination for Best Performance by an Actor in a Supporting Role in a Series, Limited Series or Motion Picture Made for Television for his part in the Netflix comedy The Kominsky Method, about an aging acting coach and his agent navigating the ups and downs of aging in youth-obsessed Los Angeles. He faces off against Winkler, 73, nominated for the comedy series Barry, in the same category. Arkin’s Kominsky Method co-star, Michael Douglas, 74, also received a nomination, for Best Performance by an Actor in a Television Series, Musical or Comedy, while the show itself is up for Best Television Series, Musical or Comedy. And then there’s Glenn Close, 71, who picked up a nomination for Best Actress in a Motion Picture, Drama for The Wife as director Spike Lee, 61, received one in the Best Director, Motion Picture category for BlacKkKlansman, facing competition from Alfonso Cuaron, 57 (Roma), Peter Farrelly, 61 (Green Book) and Adam McKay, 50 (Vice). Dolly Parton, 72, and Annie Lennox, 63, square off in the Best Original Song, Motion Picture category for “Girl in the Movies” from Dumplin’ and “Requiem For A Private War” from A Private War respectively, while Sandra Oh, 47, contends for her first ever Best Performance by an Actress in a Television Series, Drama Golden Globe for her role in Killing Eve. Oh won the Best Supporting Actress Golden Globe in 2006 for Grey’s Anatomy. The Ontario-born actress won’t have much time to ponder her nomination during the Globes ceremony, however, as she’s also hosting the show alongside comedian Andy Samberg. And though he’s not in the 45-plus age demo yet, an honorable mention goes to Rami Malek, 37, who landed a Best Actor in a Motion Picture, Drama nomination for playing legendary rocker Freddie Mercury in the Queen biopic Bohemian Rhapsody, which is also in the running for Best Motion Picture, Drama. In his category, however, Malek faces off against Willem Dafoe, 63, who was nominated for At Eternity’s Gate. As well, in an era of television reboots and big screen remakes, A Star Is Born proves there’s no limit to how many times filmmakers can recycle a story for a new generation. Still making headlines 81 years after the first version of the film, starring Janet Gaynor and Fredric March, hit theatres, it’s now in its fifth incarnation — following two other Hollywood remakes starring Judy Garland and Barbra Streisand respectively, as well as a 2013 Bollywood remake — the 2018 version starring Bradley Cooper and Lady Gaga nabbed five Golden Globe nominations including Best Actress and Original Song for Lady Gaga and Best Actor and Director for Cooper. And speaking of stories that transcend generations, Black Panther, which scored two nominations — for Best Motion Picture, Drama and Best Original Score — proved a superhero juggernaut at theatres this past year. But the origins of the hero date back to the Civil Rights era, when former Marvel head Stan Lee and comics legend Jack Kirby, invented the character. A year after the Selma to Montgomery marches, and in the midst of California’s Fair Housing movements, the hero-king from the fictional, technologically-advanced, African nation of Wakanda emerged on the pages of Fantastic Four #52–53, cover-dated July-Aug. 1966. Today, however, the character remains more relevant than perhaps at any time in the last half century, reigning in an era of heightened racial conversations and tensions that span social and cultural divides — from Black Lives Matter to #OscarsSoWhite. See below for the full list of nominees over the age of 45, and click here for the full list of 2019 Golden Globe nominees. Sasha Baron Cohen, 47 — Who Is America? Melissa McCarthy, 48 — Can You Ever Forgive Me?